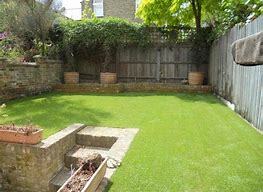 So you have a space in the yard, and you are worrying over what will complement your garden most? Do you go for synthetic or real grass? If you hate yard work or live in a climate that needs you watering a dry lawn all summer long, you may consider switching to artificial grass. Synthetic and real turf both have positive and negative attributes you need to be aware of before making a decision. It’s true that synthetic turf has come a long way. It is made of synthetic fibres that made to look like real grass. Artificial grass first gained attention way back in 1966, which was 52 years ago in Astrodome, is the world’s first domed sports stadium, located in Houston, Texas. The specific product was Monsanto, such product was used as “ChemGrass” and rebranded as “AstroTurf”. AstroTurf remains a registered trademark but is no longer owned by Monsanto. Its benefits are so apparent that many people have started to use it in their respective lawns. One of the good things about artificial turf is its flexibility. It’s perfect for gardens and yards. It can also be used for a lot of other applications too, like balconies, staircases, pathways, caravans, play area for children or even parties for decoration purpose. These are the few places where you can use it. Second is the synthetic grass is low maintenance and don’t take much of water, unlike the real grass it needs to be cared of, and it cost us more in mowings. In maintaining the beauty of an artificial grass especially in removing leaves in an artificial turf is to use a conventional leaf blower to get rid of any leaves on artificial grass quickly. Other reasons you should invest in artificial grass is it is safe for children and pet to play on, it drains quickly, more time to relax no more cutting the grass every week!, it can reduce your water bill and Lastly it’s long lasting and durable. Another perk of having artificial lawn is that many don’t think about are the lack of allergens present. If you have grass allergies in your household (Depending on what allergy vs. airborne), Artificial grass would be the best choice for you. The bottom line is that the artificial grass requires less work and less costly than maintaining a real one. It is so versatile that from the backyard to the schoolyard, office or pet park that it provides greenery. Plus it looks and feels like natural grass!